My friend has been living in America for 6 months of this year and I asked her to post me a few American beauty bits that I really fancied trying out last month but she decided to come home this month anyway so just brought them back for me with her :). 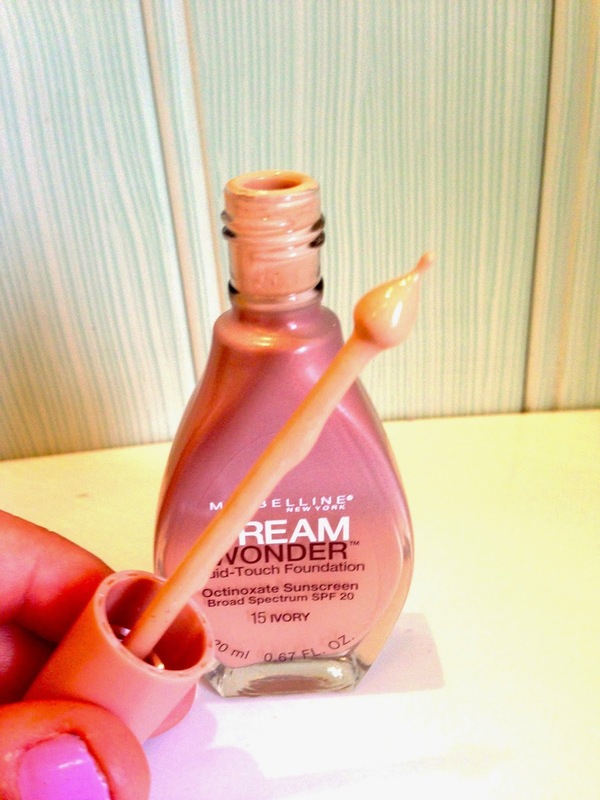 Maybelline Dream Satin Liquid Foundation so as this is fairly similar I thought it maybe something I would like. first impressions I like the bottle, it feels slightly more high end however I'm not to sure why it has this strange dropper thing? I ended up just trying to use it to put on my face but then I dropped it everywhere? The foundation itself is nice. The formulae isn't too heavy and the coverage is nice and light. I don't LOVE it there is other products that I feel are a lot better but I feel like I will use it for when I don't want much coverage and I want a 'no make-up look'. These are now available in the UK but when I first heard about them there was a bit of hype for them in the US so I wanted a piece of the action. Im not a fan of lip gloss style products I favour lipsticks ALWAYS but as this is an in the middle product I thought I would like it. However sadly no. 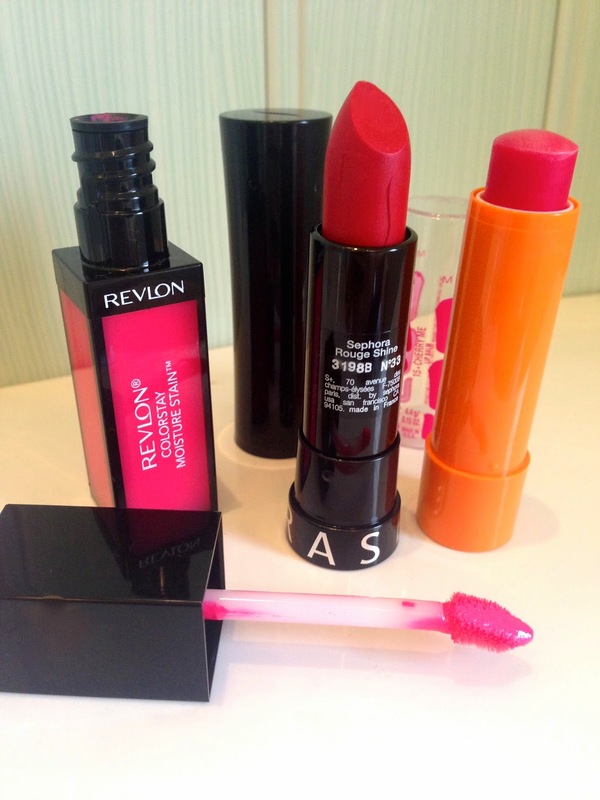 Its too much like a lipgloss for me it does not go on nicely and does not stay very well. The colour is really nice but I wouldn't waste my money buying it. Disappointing but never mind. I will probably try it out a few more times but if not it shall be donated to my mum or someone :). 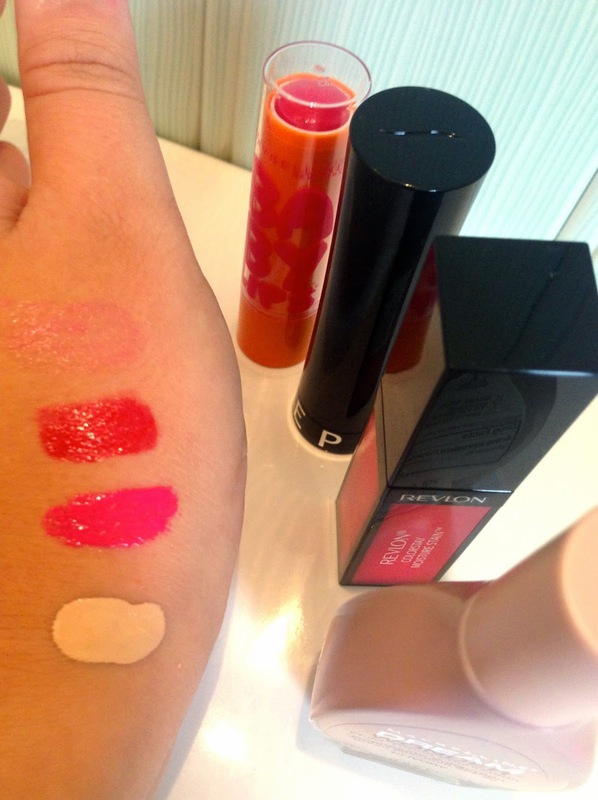 I like the Sephora lipsticks they have a nice colour pigmentation. I do have to wear a lip balm underneath though because they don't glide on very well if not. Does anyone else have this problem? Everyone knows about baby lips! I love them and I have quiet a few I use them all the time. I actually wanted the new neon ones but my friend didn't realise that they where different. Never mind! I love the Maybelline Dream Wonder, its a definite knock off of Armani Maestro foundation!